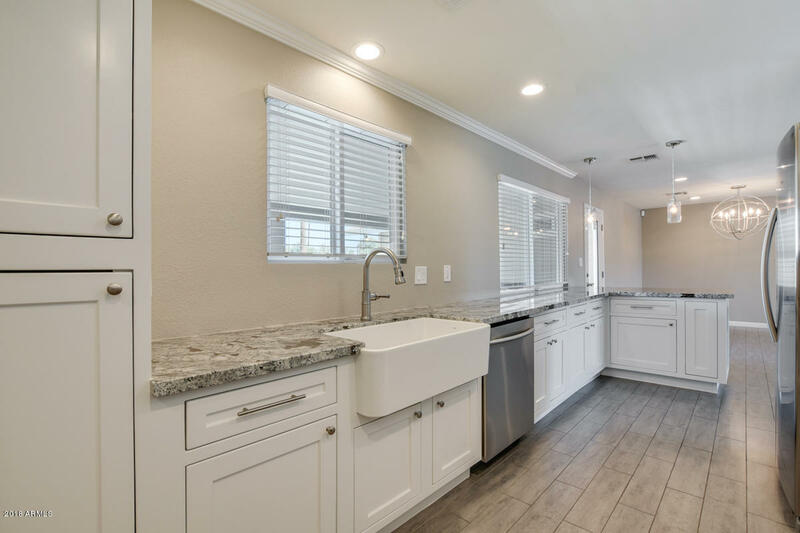 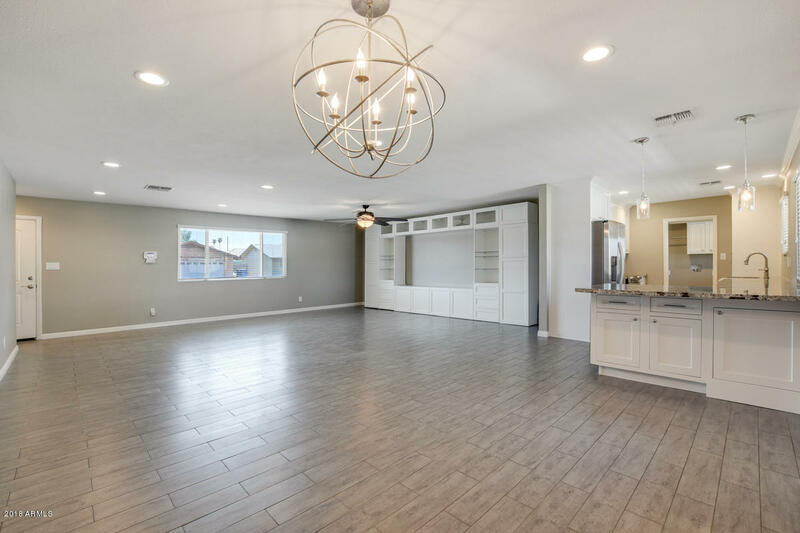  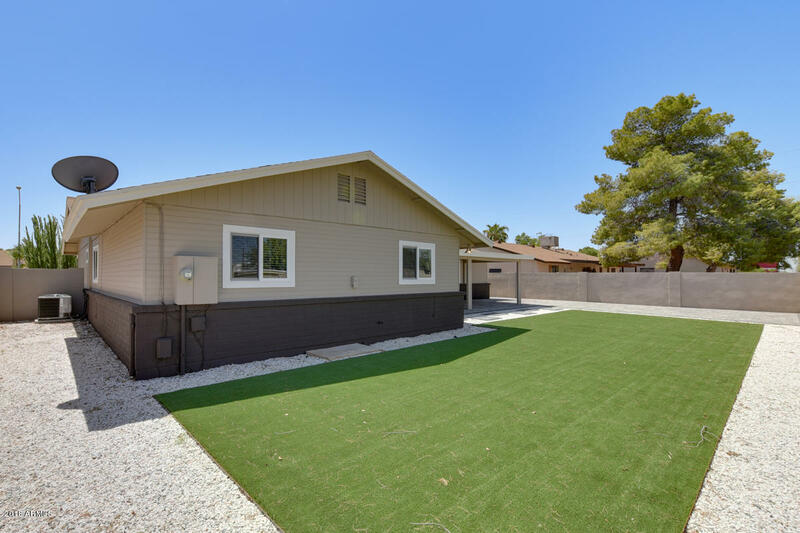 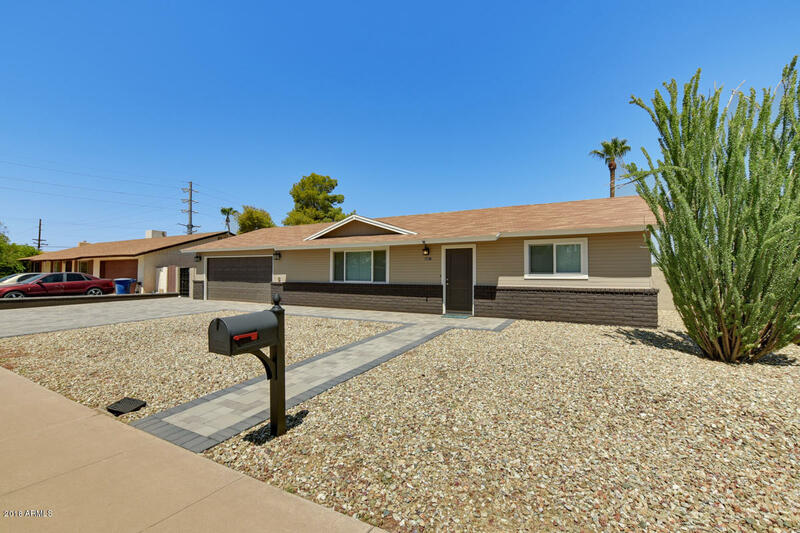 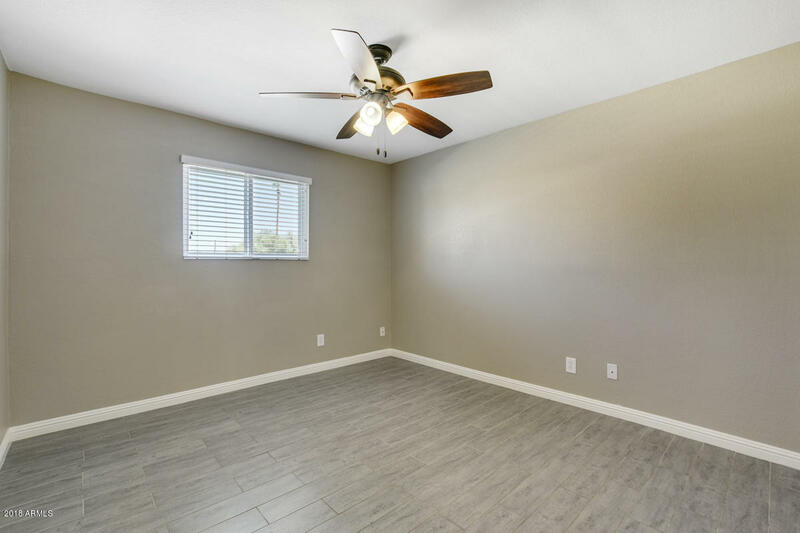 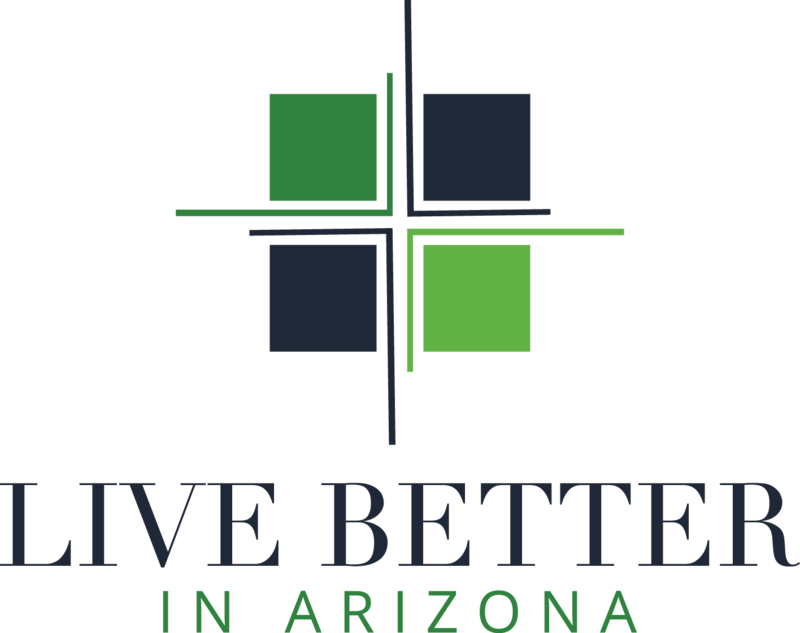 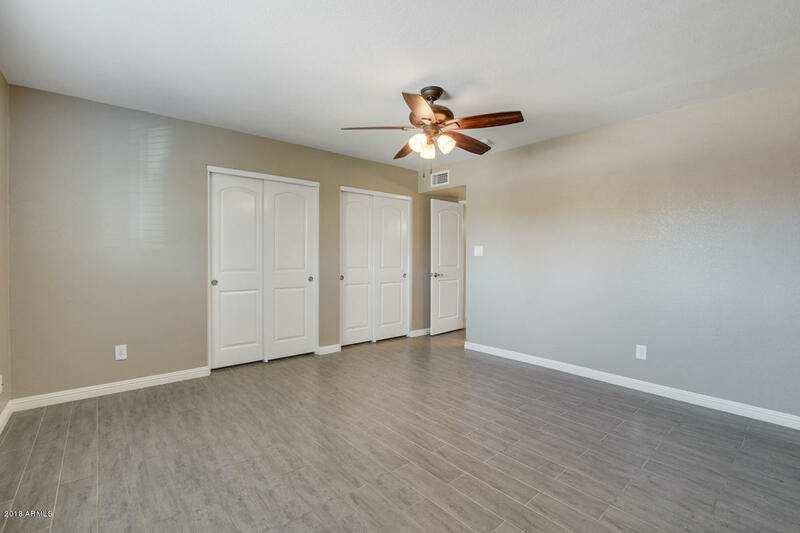 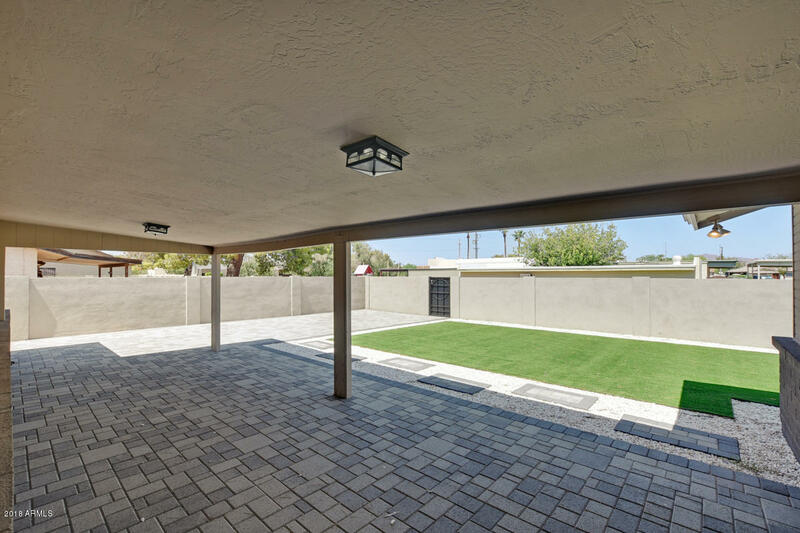 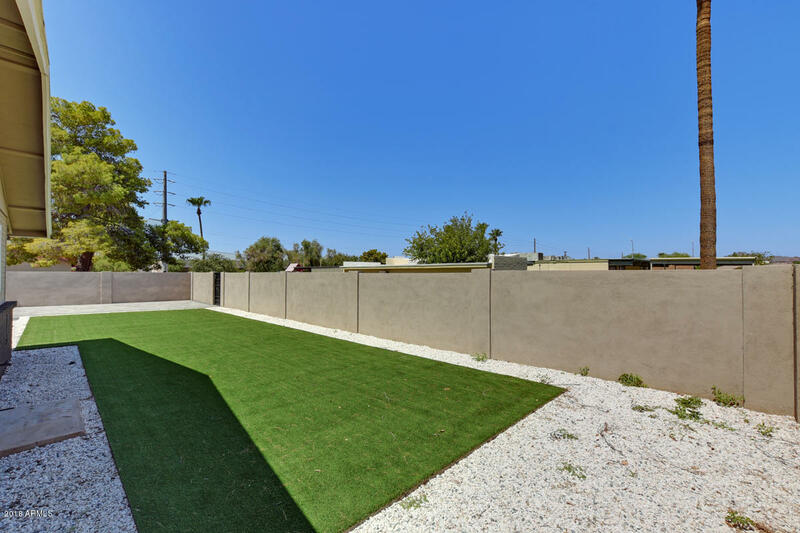 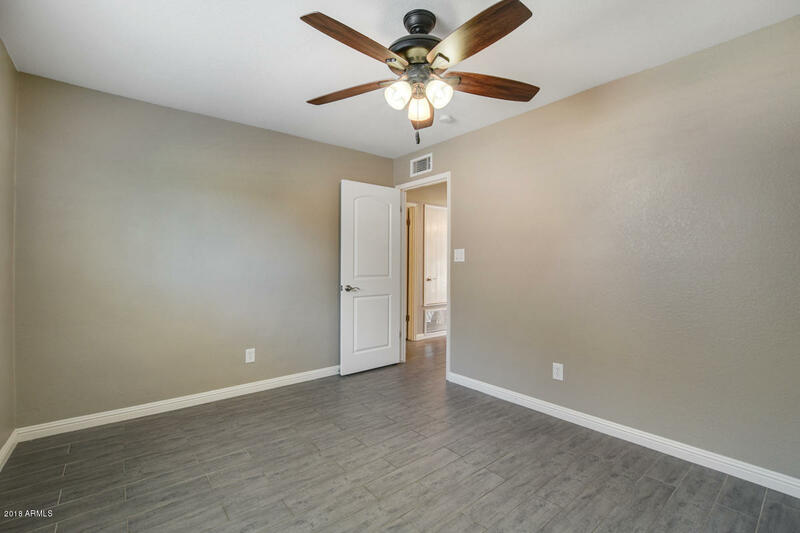 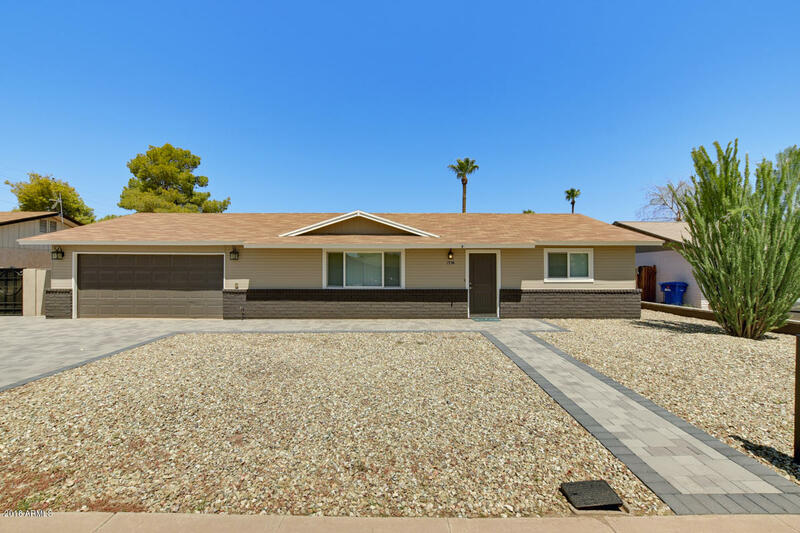 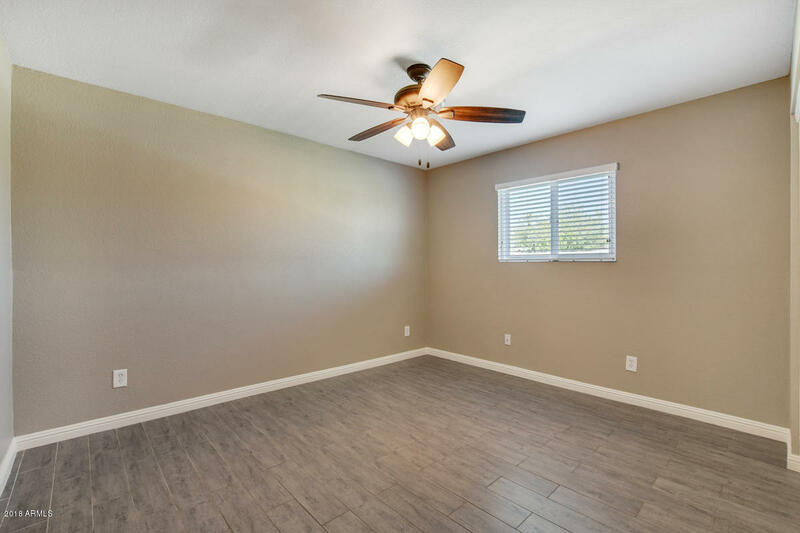 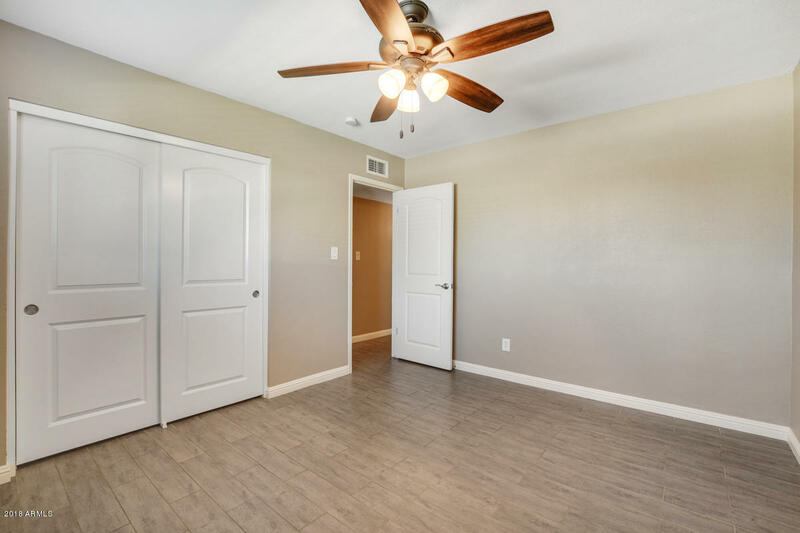 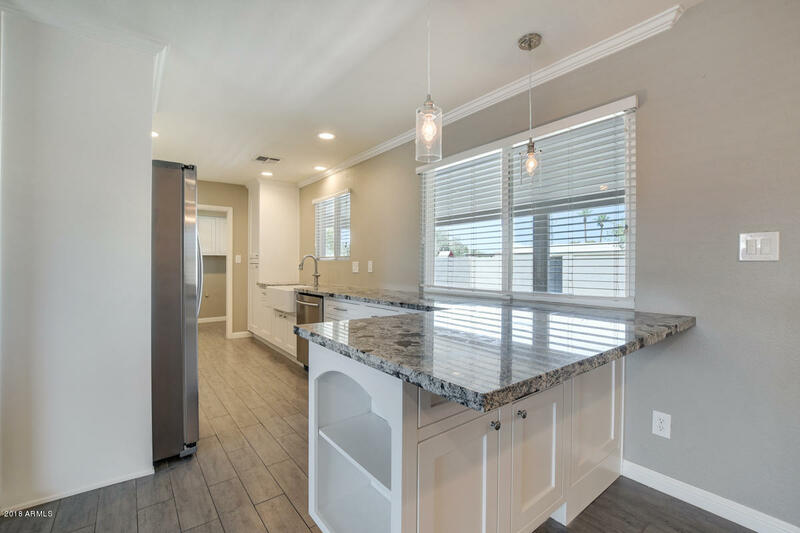 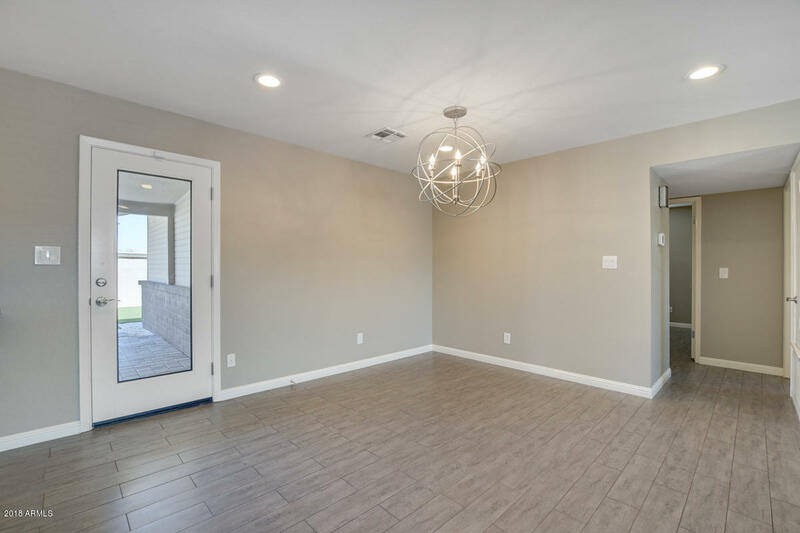 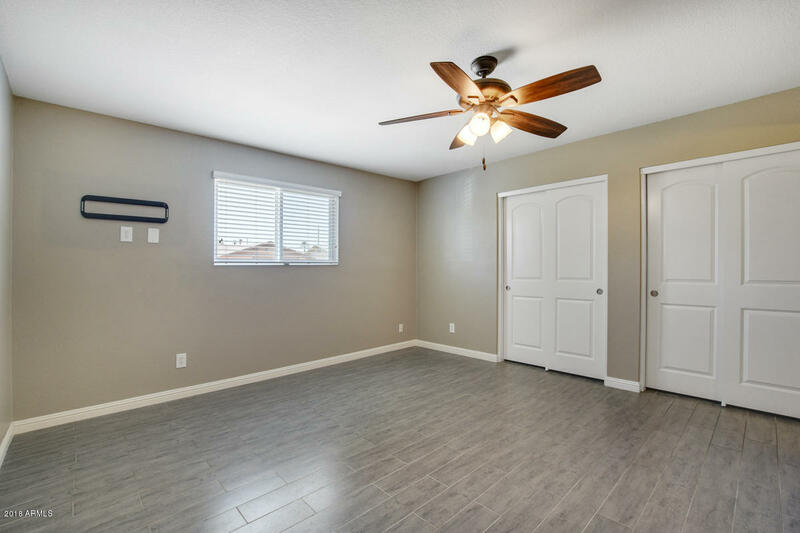 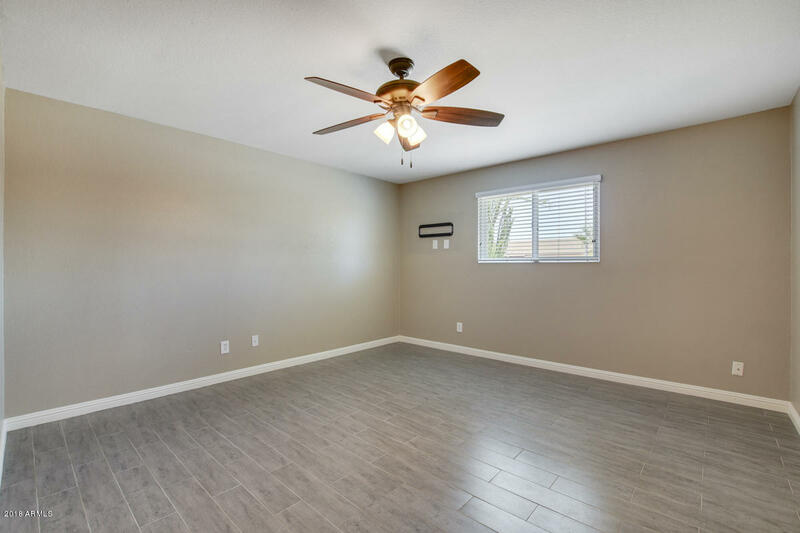 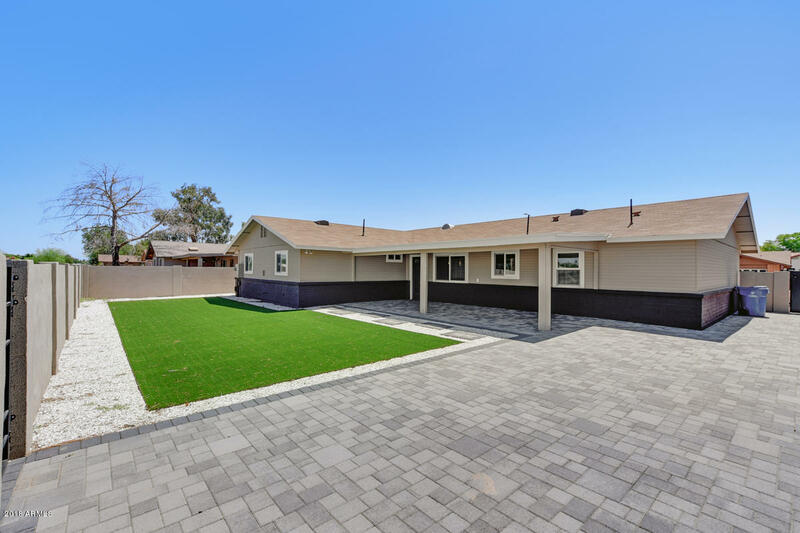 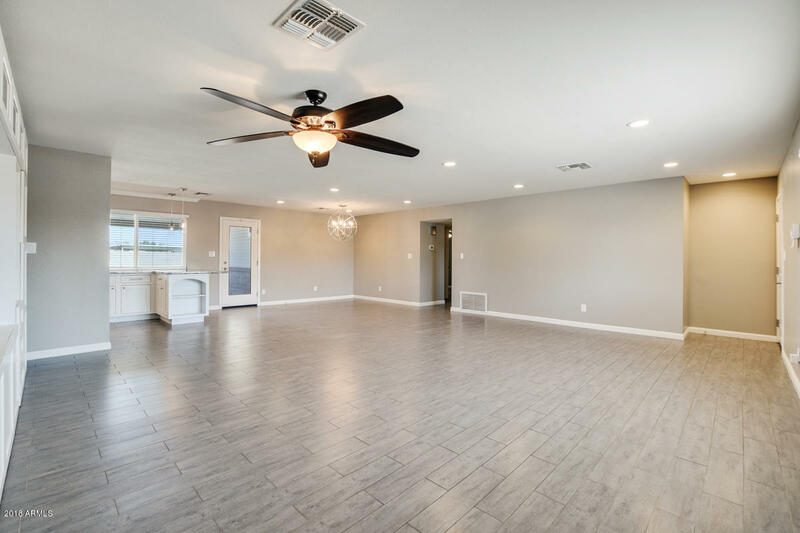 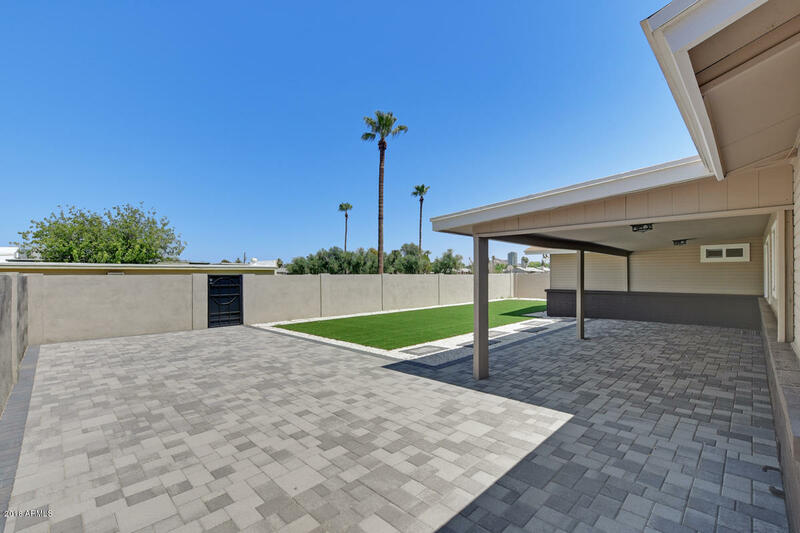 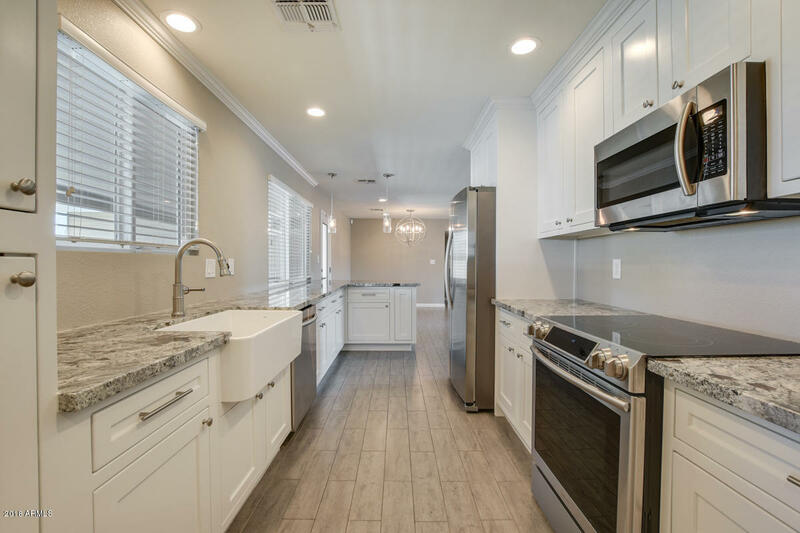 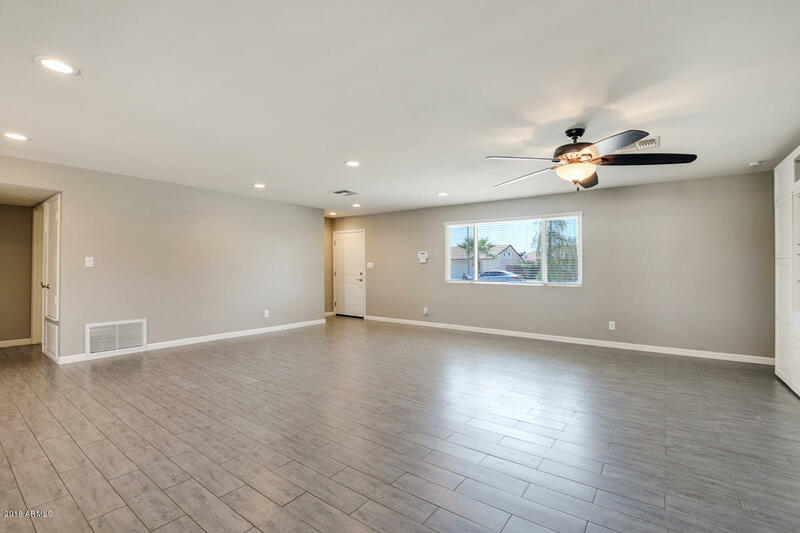 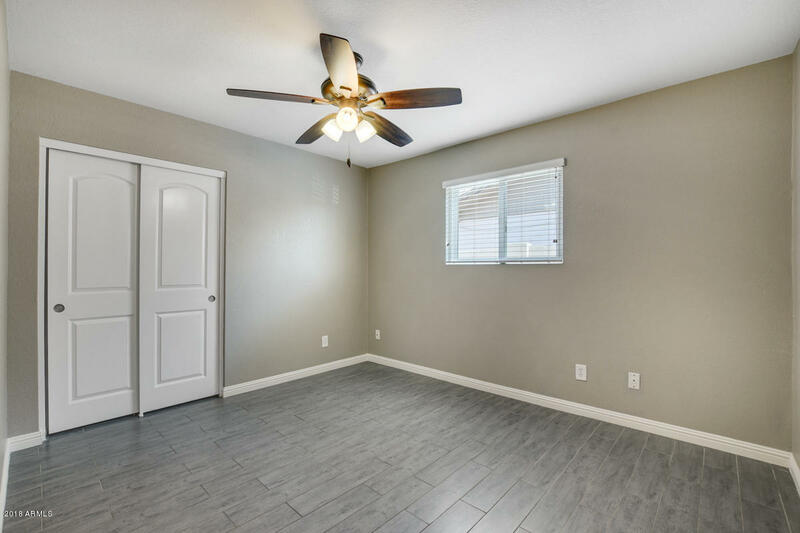 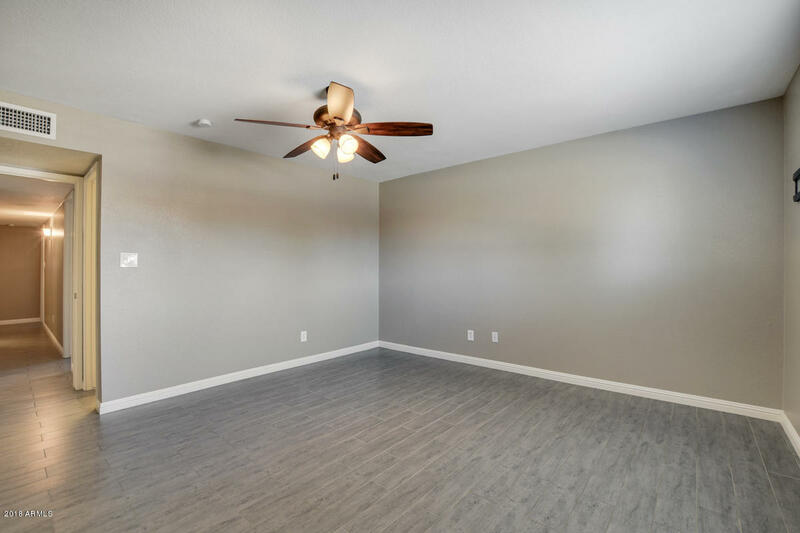 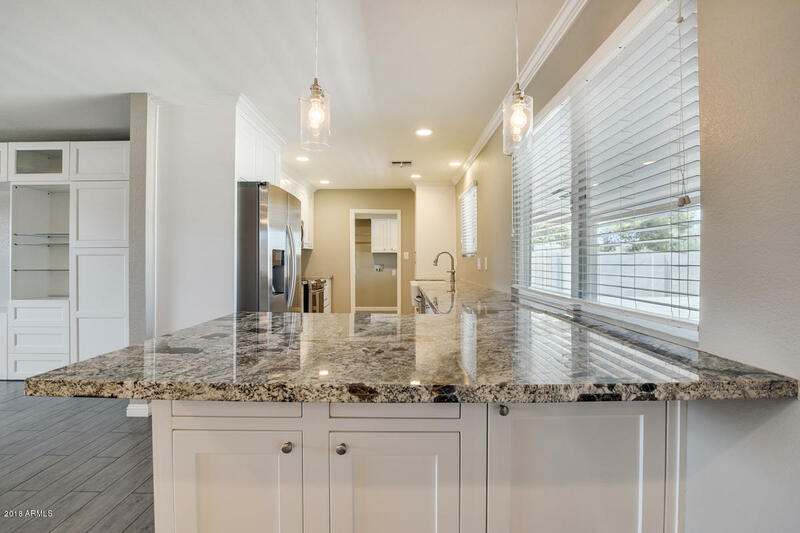 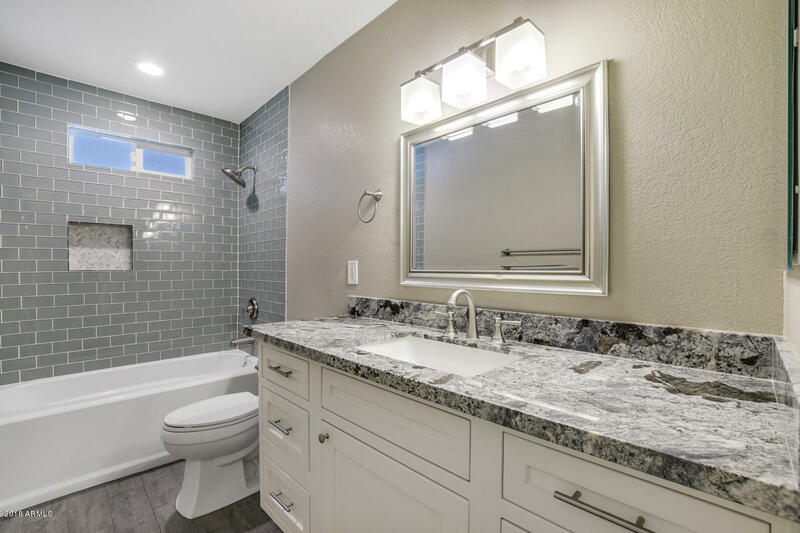 Beautifully remodeled single-level four bed two bath home located in North Tempe. 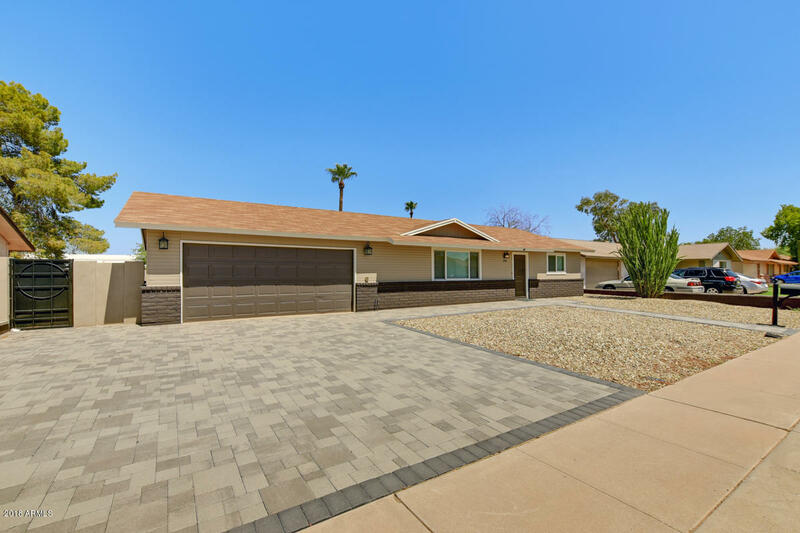 This home is move-in ready, with unique features that makes it a must see! 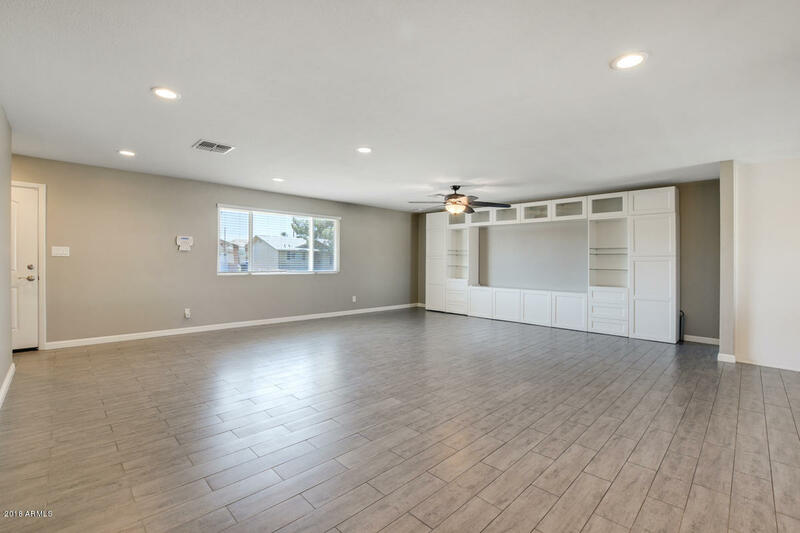 All white cabinetry, new plank tile flooring (no carpet), neutral paint and new fixtures. 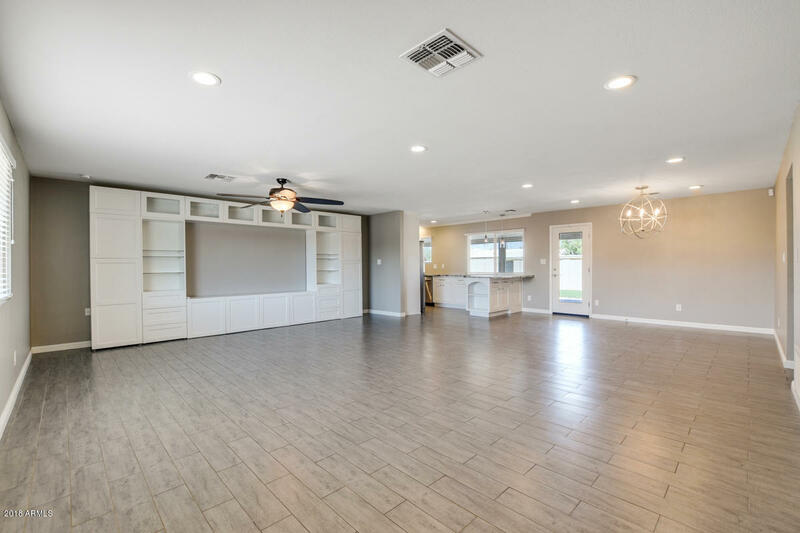 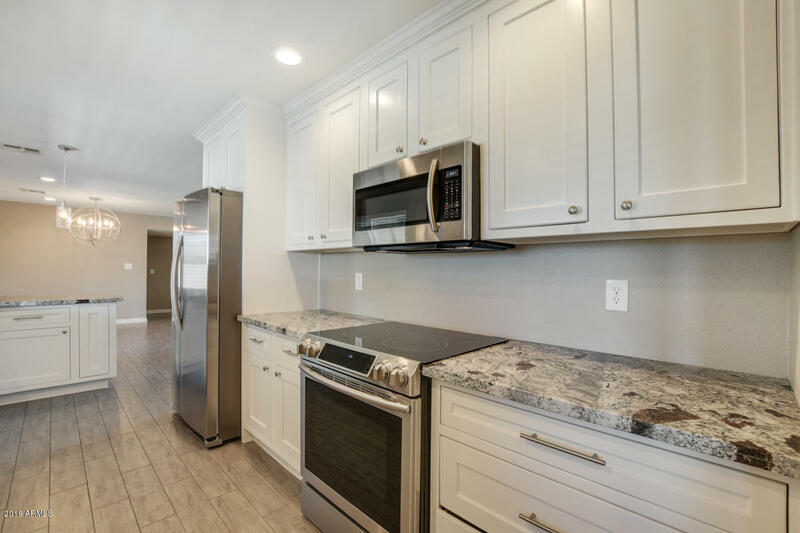 Living room has modern built-in media wall, opening to the galley-style kitchen, providing ample storage, soft- close drawers, granite countertops, stainless appliances, a farmhouse sink and eat-in breakfast bar. 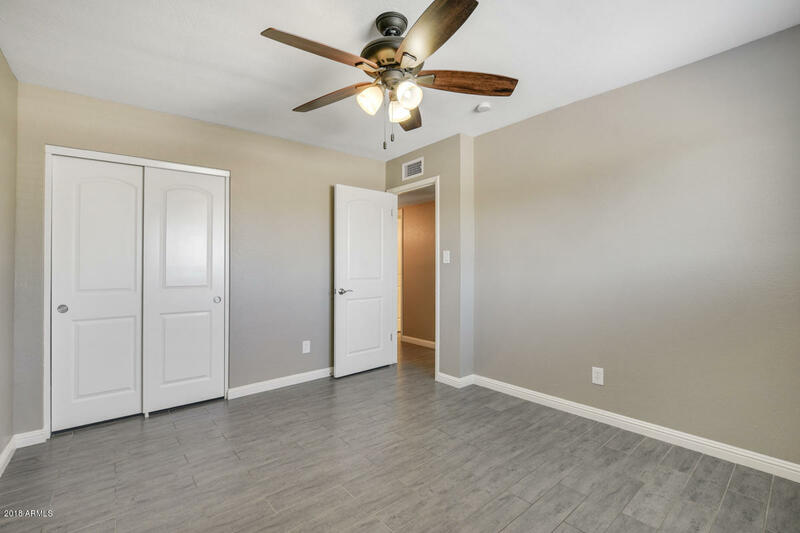 Master bedroom offers dual closet spaces. 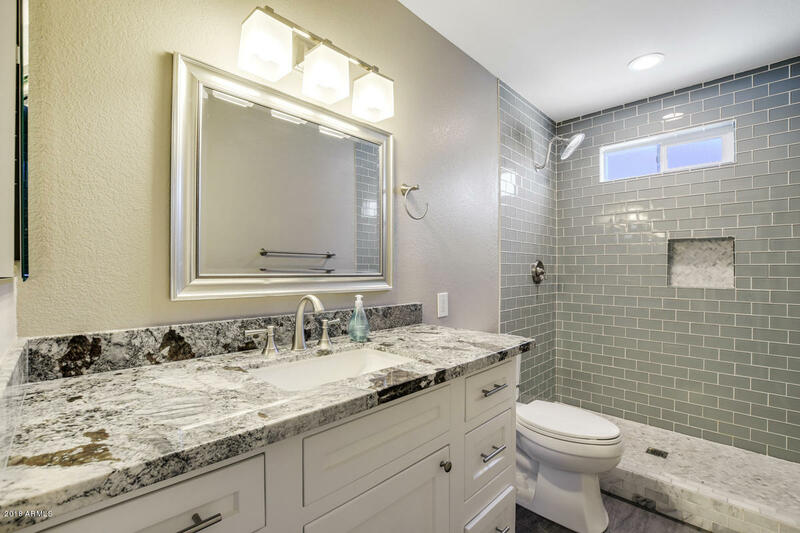 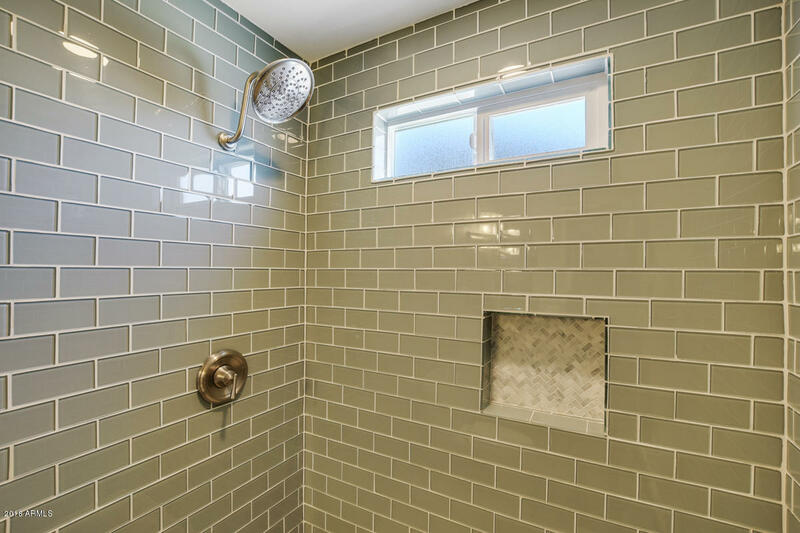 Completely remodeled baths with new cabinets/counter tops, sinks, shower tile and toilets. 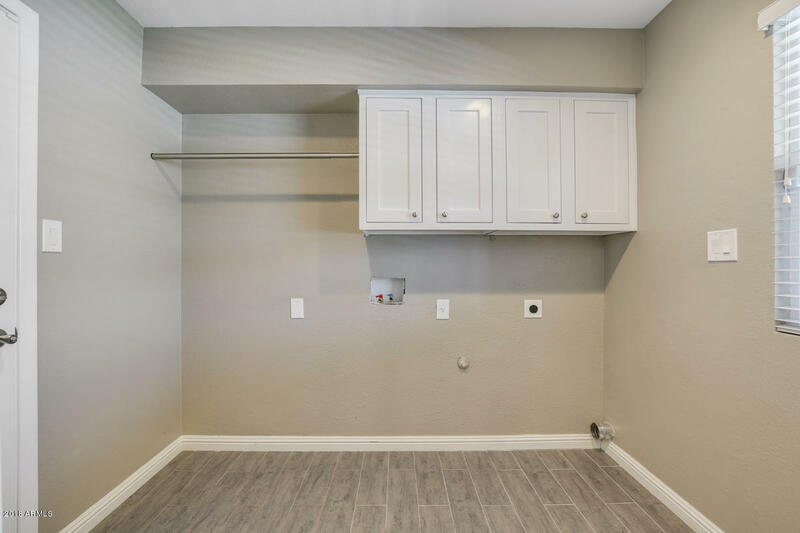 Interior laundry room with included washer and dryer.